Each month, Singapore Airlines releases a list of discounted award flights that are slashed by as much as 50% off the normal miles cost. KrisFlyer Spontaneous Escapes can be a great way to save, if you’re flexible with your time. 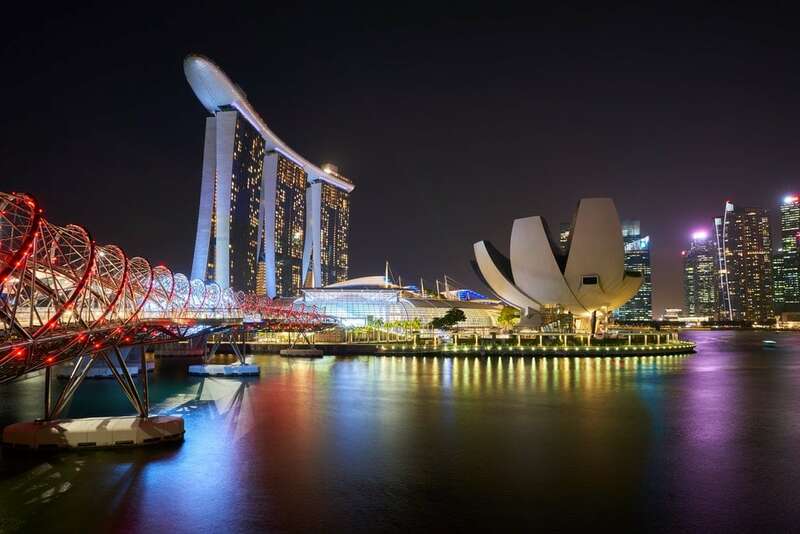 In March 2019, Singapore Airlines relaunched this promotion with a range of enticing promotional award flights (some at 50%) off, with routes covering multiple Australian cities, creating excitement amongst travellers with a stash of KrisFlyer miles. The newly released April and May 2019 Spontaneous Escapes offerings aren’t quite as compelling if you’re focused on a deal directly exiting Australian shores. However, there are still discounts to be had for Australian-based travellers, to the wider world. This month’s deals won’t help you leave Australia as we said, but given the strength of Singapore Airlines within Asia and the wider world, there are still some great deals. The full list of routes and cabins offered this month can be found here. A range of other economy and business class redemptions are available for destinations across the Singapore Airlines and SilkAir network. Subject to availability, the special award pricing is available to be redeemed until 31 March 2019, for travel from 1 to 30 April 2019 inclusive. In addition, for travel from 1 to 31 May 2019 inclusive, travellers can also enjoy 30% off the regular Premium Economy Saver rates on Singapore Airlines non-stop flights to Los Angeles, bringing the miles required to 43,600 each way. The full list of routes and cabins offered under the March 2019 promotion can be found here. How can I redeem a KrisFlyer Spontaneous Escapes flight? Log in to your KrisFlyer account. Select ‘Book a Flight’ on your dashboard. Click ‘Redeem flights’ and select your route. Note that the redemption discount will only be reflected in the booking summary panel after you have selected the flights. When are KrisFlyer Spontaneous Escapes fares released? Typically Singapore Airlines releases KrisFlyer Spontaneous Escapes fares around the middle of the month. You’ll then have until the end of that month to book and redeem your Krisflyer miles for your selected route, with most flights then available to redeem during the following month. What seats are available in Spontaneous Escapes? Usually, Business, Premium Economy and Economy seats are up for grabs. While the promotion has been run throughout the previous year, sadly, I’ve not once spotted first class award redemptions, so it’s unlikely that we’ll see these in the future. Do note that tickets cannot be changed or cancelled – a risk that many will be happy to take for heavily discounted rates for imminent travel. There are also blackout periods in peak demand times that may further restrict options. Flights are also available on a first come first serve basis, so your membership level with KrisFlyer is irrelevant in this case. Full terms and conditions can be found on the offer page here. Where can I sign up to receive the offers? You can keep up to date with KrisFlyer Spontaneous Escapes offers by choosing to register as a customer. You can do this online within your KrisFlyer account. Not yet a member? Join Krisflyer for free. The April and May 2019 Spontaneous Escapes promotions aren’t as generous as the previous month. However, a jaunt in Singapore Airlines’ highly regarded business class at a 30% discount could still be a great deal, particularly when you consider that fuel surcharges are not charged on KrisFlyer award redemptions. With Singapore Airlines recently committing to make Spontaneous Escapes a permanent fixture, we will hopefully continue to see a range of solid KrisFlyer offers released each month. Will you be booking a KrisFlyer Spontaneous Escapes flight this month?